If you are searching for a truly reliable carpet cleaning company that serve throughout the Tuart Hill area, you have arrived at the right place. Over the years, we have a built a great reputation of best carpet cleaning services at the most competitive rates. We assure that once you get our service, you will call us again. We use the best carpet cleaning products and techniques to deliver dry, clean and sanitised carpets that you and your family will love. However, the quality can go for a toss. We will clean your carpets just like we clean our own carpets. What makes us stand tall amid this competitive market are upfront pricing, no compromise on quality service, after service assistance, being on time and no extra charges for doing the little things, unlike the other companies. At Carpet Cleaning for Perth, we promise that you will have the best carpet cleaning experience. We use the most advanced carpet cleaning system that can remove the toughest stains. However, this does not mean that we will fill your home with chemicals. We use safe products and top-notch equipment that are harsh on the toughest soil and dirt, but cause no harm to you and your family. Many service providers use harsh chemicals that are not just bad for the carpet fibre, but also for the health of your kids and pets. We have earned a great reputation in the carpet cleaning service industry in Tuart Hill, W 6060 for being the most dependable and safest choice. We will not keep your home occupied for the whole day. We have the best technicians and the best products, which makes the toughest job complete within a few hours. Allow us to pre-inspect the condition of your carpet area. This will give us a clear picture what sort of cleaning is required and how long will it take approximately. We will convey this analysis to you so that you can know exactly when you will get the carpet ready. In addition, we will also not keep you waiting for hours. We are true professionals and know the value of time. We will arrive exactly when we say and get the job done. Apart from cleaning the carpets, we can also sanitise them. Carpets are always exposed to the dirt and dust. Moreover, it also goes through occasional spills of coffee or drink or pet urine. These things cause a bad odour that gets deep into the carpet. Just spraying room freshener is not enough to remove the bad odour deep within. We use the best sanitising products that can make your carpet perfectly odour free. So, get a fresh and new like carpet that everyone will love. Call the best carpet cleaner in Tuart Hill WA 6060 today! You just love the beautifying centre pieces of your home. Whether it is the padded furniture, sofa, couch, drape, curtains or the tapestries, they all add to the glamour and comfort factor of your home. However, they also serve as the collection points for allergy-causing germs, dust and dirt. You have to ensure proper cleaning of these upholsteries to make them look and feel like new. 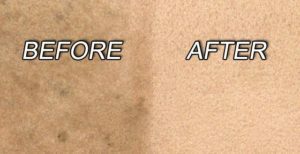 Carpet Cleaning for Perth is the most renowned name among the upholstery cleaning service providers in Tuart Hill WA 6060. We provide the most detailed cleaning process that is quick, easy and cost-effective. Apart from vacuuming and cleaning, our experts perform deep down fabric restoration that can economically and effectively improve the life of your upholsteries. This helps in removing all the contaminants such as tender, pollen, dust mites and household dust. Moreover, we specialise in restoring the original freshness, vitality and beauty of your furniture. The cleaning products and equipment we use are safe and highly advanced to effectively clean even the most delicate upholstered items such as velvet, wool and other fabrics. Our job is not just to remove the stains, but also to protect the quality of your upholsteries. We give special attention of every single piece of furniture so that effective treatment can be provided. On request, we also arrange for pre-inspection of the upholsteries to check their condition. Our experts will note down the issues and suggest the best possible cleaning service. This will also give you an idea about how long the cleaning process will take and also help you to know about the budget. Thus, you will form a realistic expectation before we actually start the cleaning process. That is why we are regarded as the best service provider in and around Tuart Hill WA 6060 area. Generally, our cleaning process begins with pre-vacuuming the upholsteries. Then we use the cleaning products that are safe for the environment. This is followed by hot water extraction. This process helps in the removal of stains along with the dust and unpleasant odour. It also helps in revitalizing the colour of the furniture and extends its life. Apart from residential cleaning, we also offer commercial upholstery cleaning services in and around the Tuart Hill area. You can call us for cleaning the upholsteries of hotels, hospitals, factories, clubs, offices, stores and business premises. This makes us a complete residential and commercial cleaning service provider. Get a free estimate or schedule an appointment for upholstery cleaning today. Just give us a call and let us transform the magic. Carpet Cleaning for Perth is the specialised service provider for cleaning tile and grout. We use the most advanced technology and unique cleaning processes to tackles the most complex flooring issues. Whether it is a commercial or a domestic cleaning requirement, we can offer apt service that will leave your floor hygienic and spotless. The techniques that we use for floor and grout cleaning are safe. In some cases, cleaning with high pressure can damage the floor surfaces or loose grout. Therefore, we use the most sophisticated and effective cleaning equipment and products for washing, scrubbing and drying. Moreover, we ensure less usage of water and detergents than other methods of cleaning. Thus, we also care about the environment. When you do clean the floor and other tiled areas of your property, you generally focus on the surface of the tile. You often ignore the grout, which is the thin line bordering the tiles. Grout is porous and accumulates dust very easily. Moreover, when you wipe the tiles, the dirt shifts, and sticks to the grout making it look ugly. You must realize that the tiles will look great only when the grout looks great. Grout between the damp areas like kitchen, bathroom easily become dirty because of limescale, mildew and mould. That is why it is important to ensure proper grout cleaning. However, it is not easy to do it on your own. We have the best tools and products to make the grouts spotless and fresh like new. Allow the experts to professionally clean the grout areas in your Tuart Hill WA 6060 property. We believe in increasing the efficiency of our services. That is why the technology and the products we use can deeply and thoroughly clean all the dirt rather than removing them to the surrounding, which results in its occurrence again. Once the surface of tile and grout is thoroughly cleaned, we treat it to form a shield against the contamination build up in the future. The grout lines are either colour sealed or clear sealed, which provides a protective coating as well. Thus, our job is not just cleaning, but to provide complete protection. At Carpet Cleaning for Perth, we assure all round cleaning service for any commercial and residential requirements. Whether your requirement is for cleaning the carpets, rugs, upholsteries, tiles and grout, we are the best service provider to approach in Tuart Hill area. We use the best techniques of cleaning that leaves your flooring, carpets, and upholsteries absolutely spotless. At the same time, we also assure competitive pricing so that you don’t burn a hole in the pocket. Grab your phone and call us today. Get the best quotes for your commercial and residential cleaning requirements.